Israel has opened its borders to allow delivery of equipment to the site of Coca-Cola’s first plant in the Gaza Strip. The plant will create up to 1,000 jobs, but Palestinians have been boycotting the company for years. The Israeli coordinator of government activities in the territories (COGAT) allowed nine trucks with machinery for the new plant to enter the Gaza Strip on Monday. "The factory building is ready, lines of produce are ready," said Emad al-Hindi, the director-general of the company. "We hope to be able to conclude all the stages without any obstacles." The plant in the industrial Karni zone will be operated by the National Beverage Company, which is licensed by Coca Cola and based in the West Bank. The company’s officials expect other deliveries from Germany and Turkey later in order to start production next year. The plant will begin with carbonated drinks in 2015. Then, in 2016-2017, it will start producing juices and non-carbonated drinks. Around $20 million have been invested in the project, according to estimates. The plant will create about 150-360 jobs in its first stage and later that number could rise to 1,000. 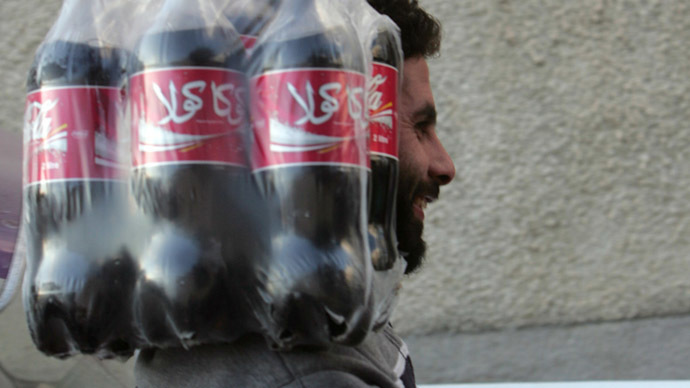 However, some Palestinians doubt Coca Cola will bring prosperity to Palestine. The soft drink giant has faced severe criticism from pro-Palestinian groups and countries for a long time, as it supports Israel and reportedly owns a dairy farm in the occupied territories. In summer, during the Israeli air strikes in Gaza, many shops in Turkey, Malaysia and India stopped selling the company’s products as a part of a larger BDS campaign (Boycott, Divestment and Sanctions), which started in 2005. The idea of building a plant surfaced two years ago, but it ran into problems getting registered and then the bombings in June 2014 interrupted works. At that time, the Israeli army launched a 7-week operation against Hamas militants. Some 2,200 people were killed and over 10,000 were wounded. A great number of buildings were also destroyed or severely damaged. “It had to get the approval of the Palestinian Authority, which through their official channels coordinated with the Israel Defense Forces,” Zahi Khouri, a founder and the president of the National Beverage Company, told the Jerusalem Post. The plant will compete with a Pepsi factory already working in Gaza, which has been producing 7-Up since 1962, with Pepsi Cola popping up in 1997.